We’re sure you have lots of questions to ask – below are some of the most common ones which we come across. We’d love to talk to discuss these with you in more detail, so please contact us for further information. Is there a real need for your services? Yes – There has been a huge growth in the gardening industry as people have invested more money in their homes and increasingly have seen the garden as an extension of their lounges. This, coupled with numerous TV makeover programmes, has made the general public more aware how their gardens look. The other factor in this market is the growing trend for higher income but time poor people who are prepared to pay to have necessary chores such as lawn maintenance so that they can indulge their leisure time in being with family and friends. How hard is it to get Clients? And do I have to get them for myself? Yes you need to get your own clients. 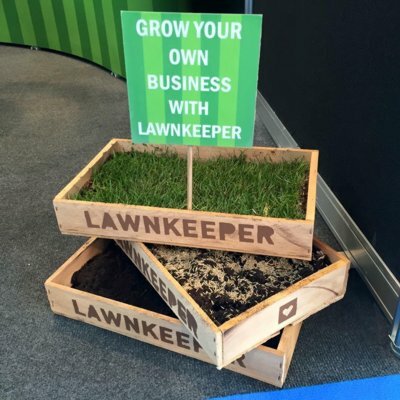 But the advantage of joining Lawnkeeper is that we have over 19 years experience in the business so know how to get and more importantly keep clients. We will provide you with all the skills and material needed to build up your client base. We will also constantly be developing and monitoring the sales techniques for you. Also using our Lawn Analysis as a sales tool means there is no hard sell and a very high conversion rate. Yes there is competition that offers a similar service. Lawnkeeper has proven itself in the past to offer a more customer focused service than the others, which is why we are the best. We frequently pick up the more valuable customers from competing franchises who have not delivered a service which the customer expected. We don’t compete on price, we compete on quality – successfully. What type of person is perfect for this business? 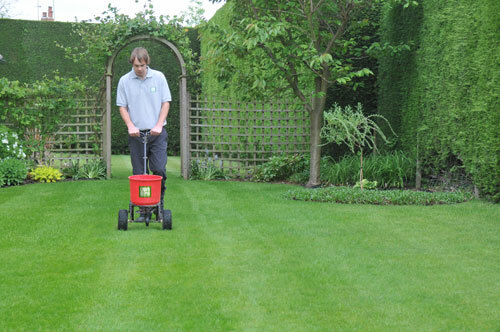 During our specially designed training course we can teach almost anybody to provide professional Lawn care services but we do only take on people who are fit enough to do the job and have the determination and drive to make a success of the franchise. What support structure do you have in place? We believe that the support structure of any Franchise organisation is one of the most important aspects of running a successful Franchise. You have to know that you’ll never be left alone ‘to get on with it.’ Of course our training is so detailed you won’t need constant supervision, but you will need help from time to time. We guarantee you’ll never feel alone. You’ll be comforted in the knowledge that we place huge value on supporting you and all our other colleagues. How does your training and systems compare to other Franchise organisations? We’ve been in this business for over 19 years. We know it inside out. Our training procedures and manuals reflect the systematic approach we take with all our customers. We believe we offer the best training available in our industry. With a-b-c type, step-by-step instructions, and an attention to detail that will stagger you, we know we can develop you into a true expert in the Lawn Care field. We don’t accept everyone as Franchisees, but those that qualify already have the basic skills – we just give them the tools of our trade! The Franchise fee includes all the equipment you need to hit the ground running. All the qualifications you need to carry out the work and our intensive training course to give you all the skills you will need to run your own successful lawn care business. We will also perform a marketing campaign for you in your chosen area to enable you to start earning straight away. Request your prospectus today for a more in depth list of what is included. Do I have to pay a monthly management fee? Yes. 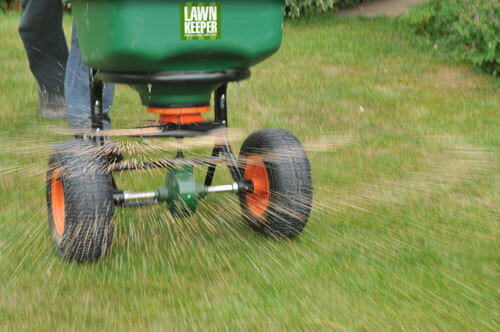 As with any franchise you will pay an ongoing management fee that will enable Lawnkeeper to constantly develop the services, marketing and all central services to improve your business. Because we provide these services it allows you to concentrate on your core business and earn more money. Request your free prospectus today for more details. What are the typical working hours/week? Working for yourself means you can choose your own working hours. This means the less you work the less you make, the more you work the more you earn. Unlike others we have designed our franchise around giving you a life. Our figures are based on working 40 hours a week for 42 weeks a year to make a substantial income. Of course, there is nothing to stop you working longer to make a higher income.